Here are a few photos I snapped from the 5-3 regular season for Negaunee over Marquette. Enjoy! Here are photos from Marquette and Gladstone during the High School Baseball season this year. Enjoy! Here are photos from the Superior Dome track meet during the high school spring season. Enjoy! Take a look at all these swings from Marquette, Negaunee, Ishpeming, Kingsford, Gladstone, and Menominee. 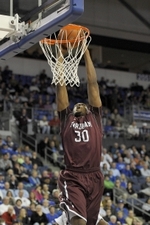 Here is the photos taken at Fordham’s 82-75 win over the Dukes. I hope you enjoy them.